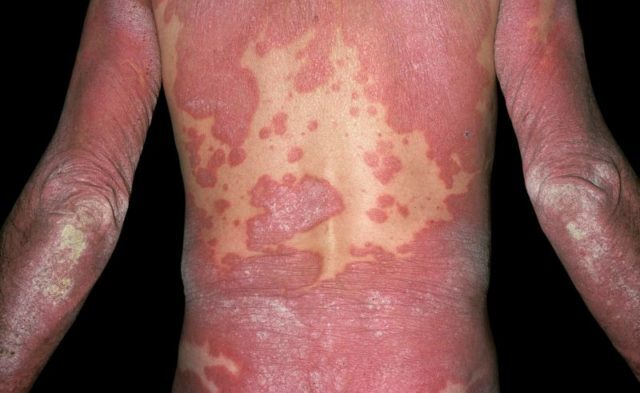 Treatment of psoriasis with biologic therapy is associated with a reduction in noncalcified coronary plaque and improved plaque morphology. HealthDay News — Treatment of psoriasis with biologic therapy is associated with a reduction in noncalcified coronary plaque and improved plaque morphology, according to a study published online Feb. 5 in Cardiovascular Research. The researchers observed a 6 percent reduction in noncalcified plaque burden and a reduction in necrotic core in association with biologic therapy, with no effect on fibrous burden. When comparing the change in plaque characteristics between the groups over one year, they found the biologic-treated group had a significant decrease in noncalcified plaque burden compared with slow plaque progression in the non-biologic-treated group (Δ, −0.07 versus 0.06 mm²); this association persisted even after adjustment for traditional cardiovascular risk factors.